As you may remember, last week the developers of the third instalment in the popular RPG series revealed the details of the project’s updated character - Leliana. 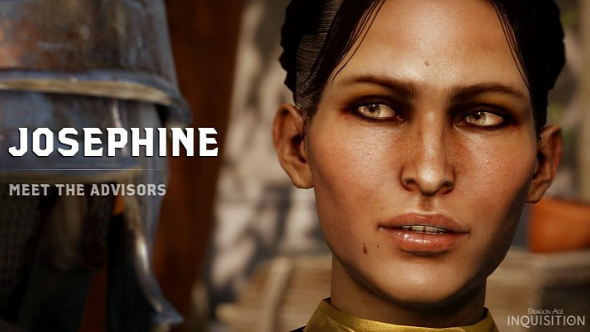 Today, we would like to share with you some more fresh Dragon Age: Inquisition news, which include the information about another heroine and some game’s specifics. So, the next Dragon Age: Inquisition character, who will appear in the third part of the series, is a protocol advisor and a diplomate. Lady Josephine Montilyet is the eldest daughter in the Antivan family. She has the unique skills, which help her build good relationships between the alliances. Josephine is notable for her grace, tact and nice taste. This Dragon Age: Inquisition character understands the importance of the alliance better than others and knows the ways of preventing the demon invasion. Josephine believes that the Inquisition will restore the world order. - faith and leadership will be two main topics of the project. So, what do you think about the latest Dragon Age: Inquisition news? Did you like the new heroine? We’ll be glad to see your answers in the comments below.